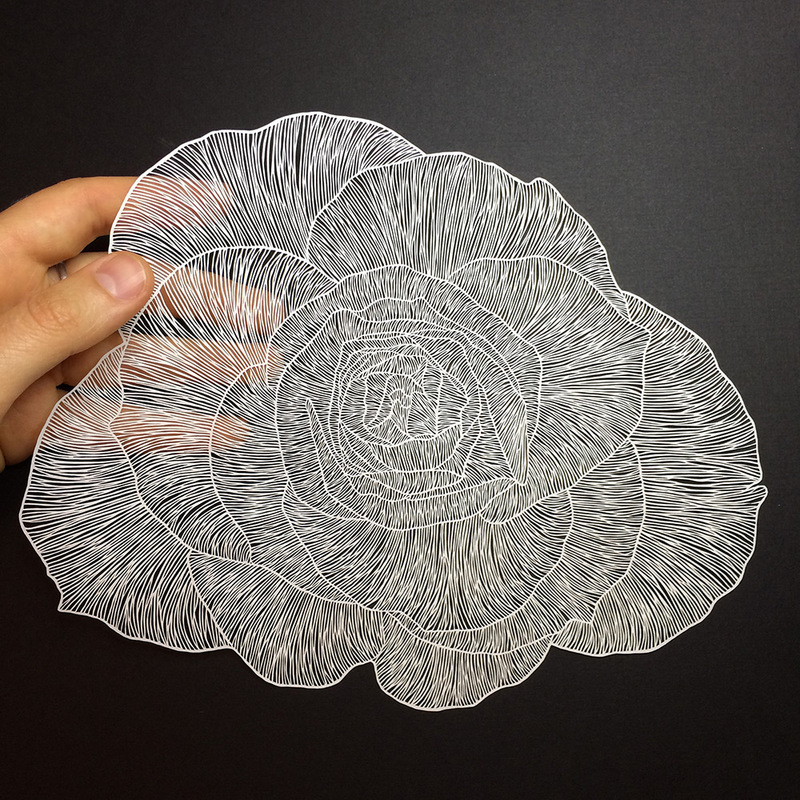 Working with paper is not by any means an unusual medium for an artist, but paper-cutting creative Maude White has taken this fairly standard medium and turned it into something unique, delicate and beautiful. 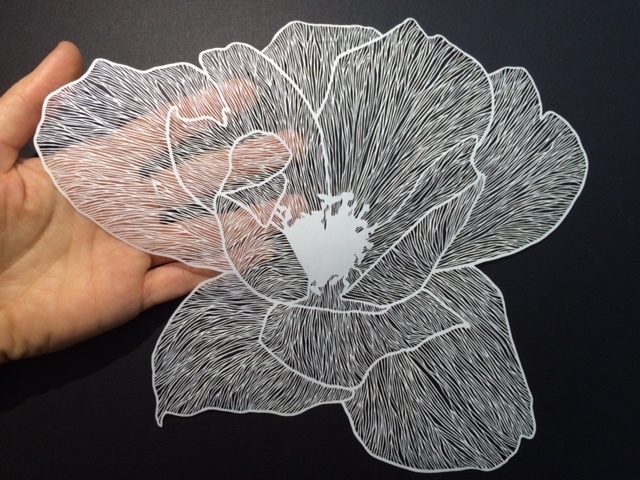 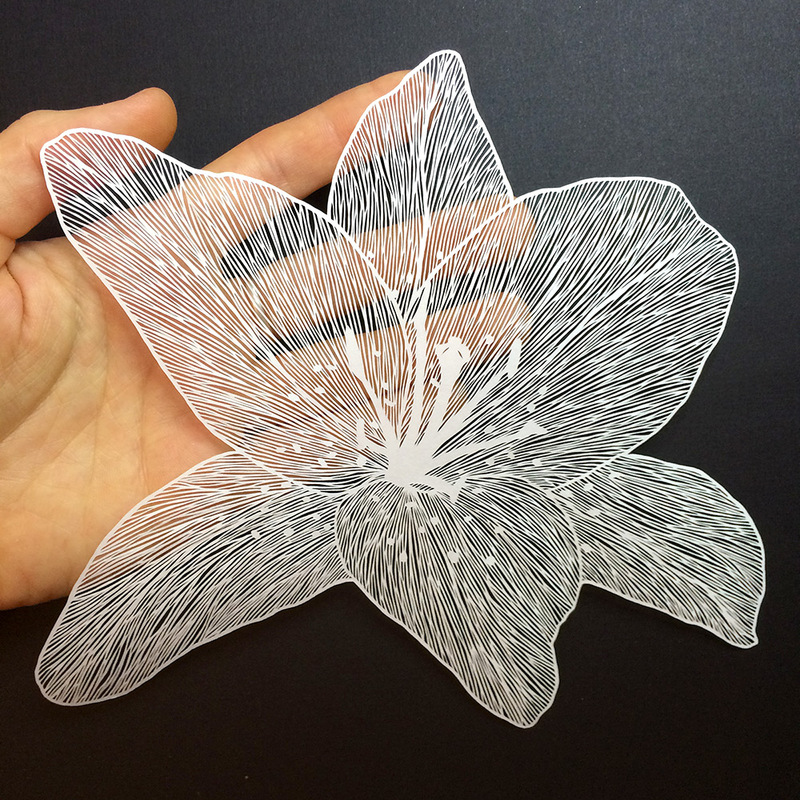 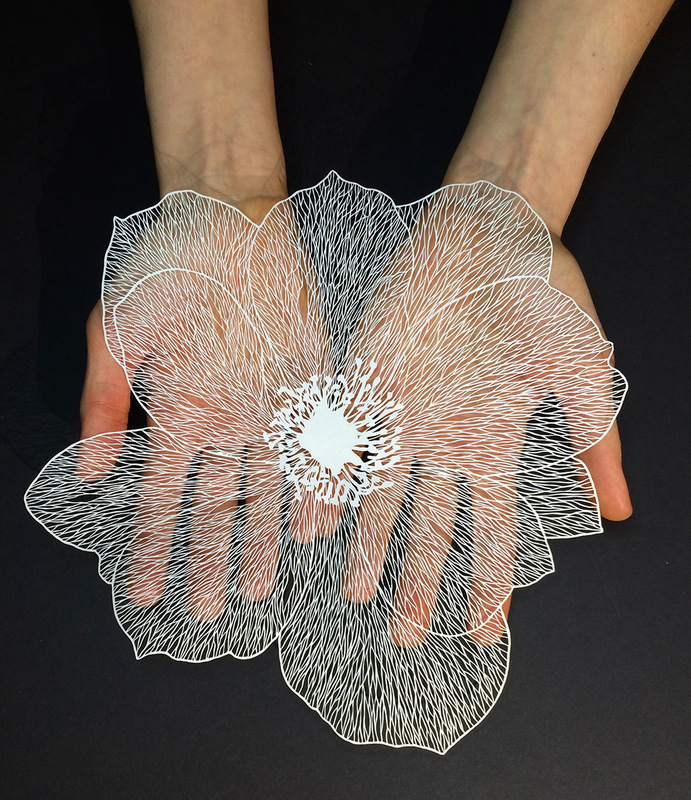 Creating stunning, intricate designs from single sheets of paper, Maude painstakingly cuts the paper with a knife, using only positive and negative space to produce breathtakingly delicate paper flowers. 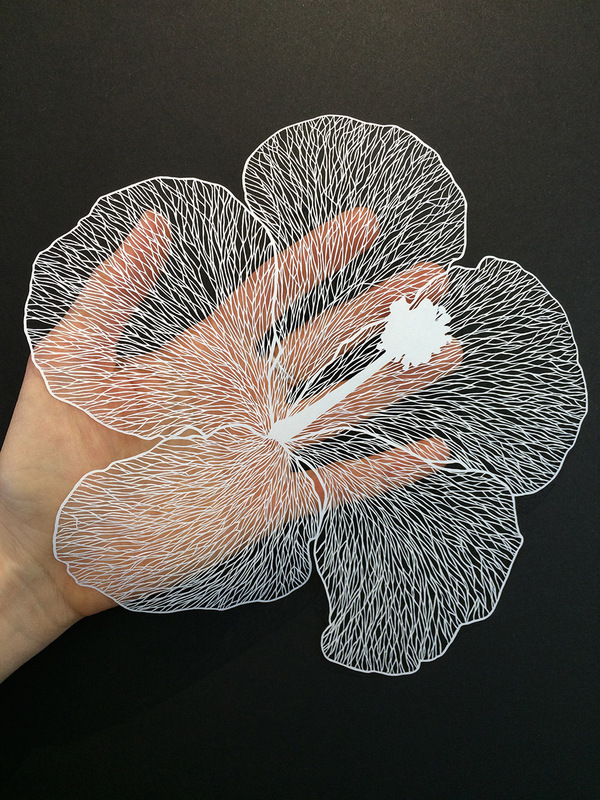 You can learn more about her creative process from an interview on Club Haus.